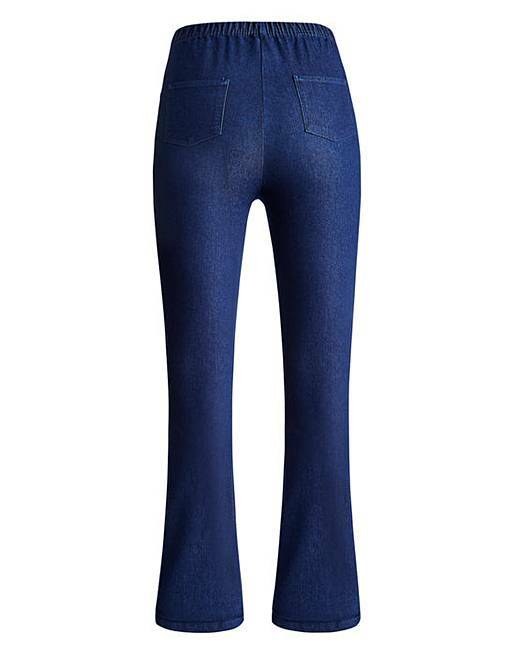 Petite Bootcut Pull-On Jeggings is rated 4.1 out of 5 by 282. Promising the perfect combination of style and comfort, these bootcut jeggings are a must-have wardrobe staple. 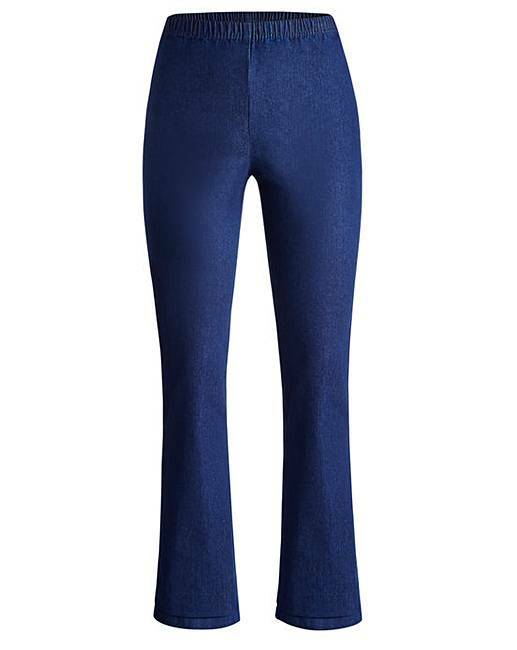 Made from soft, stretch denim and complete with elasticated waistband, these jeggings ensure optimum comfort and fit, meanwhile the bootcut style helps create a figure-flattering finish. To complete the look, tuck a checkered shirt into the waistline and finish things off with a pair of patent flats. Black: 97% Cotton, 3% Elastane. 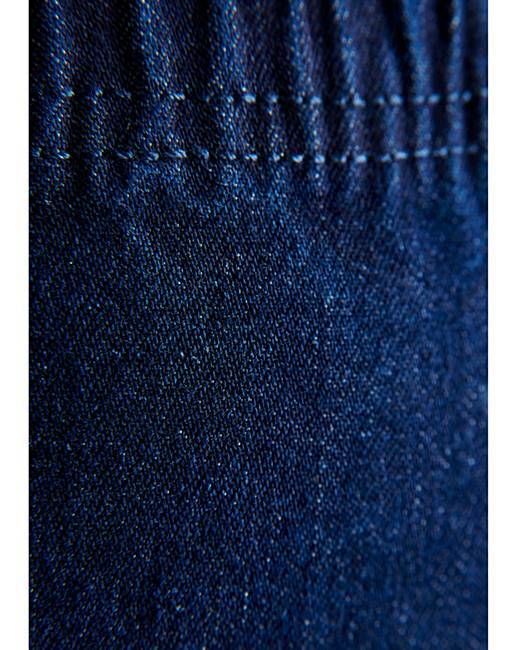 Blue or Indigo: 84% Cotton, 14% Polyester, 2% Elastane. Rated 5 out of 5 by Murial from Excellent value Shape size fabric all good so ordered 2nd pair Do remember to wash before first wear. Rated 5 out of 5 by Kw101 from Flattering fit Very nice jeans. The bootcut has always been my favourite. The extra fabric gives a flattering shape to a short person like myself and makes my legs look longer. Very good fit, and easy to wear. Great price too! I like them a lot. Rated 5 out of 5 by tina2feet from perfect fit I replaced an older pair that were fading. Have several colours of these. Great fit for casual use. Rated 5 out of 5 by Czechmate from Great Jeggings Absolutely love them ,so smart great fit so comfortable to wear bought two pairs ,will definitely recommend and will buy more . Rated 2 out of 5 by pauline10 from Small fit Bought these a size bigger than other stores I buy from and still too small. Rated 5 out of 5 by Ethel from Jeggings True to size fitted in length. Very comfortable. Good with heels or boots.